Check out this new song that Haley is featured on from the new “AMD” album! 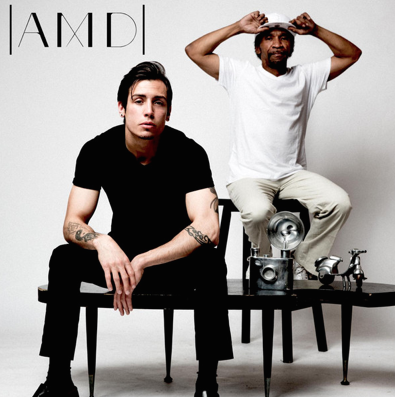 The AMD Band is a two-piece eclectic rock group from Chicago, Illinois. They are street performers who seem to have a good following of fans, and are known as “Chicago’s best street performers”. You can find a few videos of them performing on YouTube. I’m not sure how this collaboration came around, but back in November of 2013 Haley was tagged in a picture on Instagram of her in the studio, the day she recorded the song for their album. The song Haley is featured on is titled “Leading To One”. AMD Band just had their album release party at the House of Blues in Chicago on July 3rd, where they sold physical copies of the CD. But, it is now available for purchase on iTunes! They have added more songs to the album for iTunes. The song has a psychedelic feel, although it is disappointing Haley doesn’t sing any actual lyrics on this song, she does more of a backtrack vocal towards the end. She still sounds really amazing regardless, and her voice is an absolute perfect fit for the song. Support Haley and her fellow Chicago natives and go buy it on iTunes here!